Simone Faggioli (Osella Fa 30, D/E2-Ss 3000): «I’m overjoyed. I don’t know if I can be defined as the king of Bondone, but I know how hard this race is and that winning is something special. Considering my practice time I thought I could reach 9 minutes 28”, but the hot weather made everything more difficult. From the half of the track I was no longer thinking about the record but to finish the race without troubles. At a certain point I thought I should risk less. I’ve never been so lucky in this competition, so this year I really wanted to win, for me, for my team and for Marangoni, my sponsor, that considers this as its home race. The record? Well, every year there can be someone breaking my record. This victory it’s very important from a championship point of view, either Italian and European». Michele Camarlinghi (Osella Pa 30 Zytek, E2-Sc 3000): «Let’s say, I’m pretty happy. Final podium is a beautiful goal, but I could get a better time. I confirmed the times I had had during the practices, but I could really decrease them. Up to the last intermediate I was driving smoothly, then I faced some trouble with brakes and I had to slow down. It’s a pity because I was fast, even if the podium is, in any case, a fantastic result ». Franco Cinelli (Lola T99/50 Zytek, D/E2-Ss 3000): «Unfortunately with this temperature, last kilometres have been really difficult, I couldn’t force as I would. My car was losing power, so I finished third, a satisfying position, but not being second just for 1 second…. so sad! This is the best race in Europe and in the meantime the most difficult one. Being among the first means driving really well ». Pio Nicolini (Skoda Fabia, gruppo A 3000+): «Today my car was really perfect, the driver not that much. I was not able to drive as I would have liked. I did not start properly and to make up I went for broke. But I stopped in some hairpins and start again was not easy. What a pity!». Fabrizio Ferrari (Renault Clio R3, A 2000): «It could have been impossible to do better than this. I tried to push strongly up to Candriai and I could get a satisfying time ». Tiziano Nones (Peugeot 206 Wrc, A 3000+): «I’m satisfied of my second place in my Class. I found some oil on the track, compare to Saturday practice the tarmac was more slippery ad this gave troubles to some young drivers starting in this category». Remo Decarli (Fiat X1/9, E1 Int. 2000): «it was a very unlucky race, I broke the gear in Sardegna and I had to drive all in fourth. I had the same problem on Saturday, we worked up to 2 at night to fix it , but it was useless. I hope to get a better performance next year ». Marco Cristoforetti (Porsche 997 Rsr, Gt 3000+): «Hard, very hard. But impressive. It’s a competition in which you can never distract. In some parts I found it really difficult but at the end I’m completely pleased of my time. One single trouble, now I have to pay my bet to my friends De Tisi e Nones... what kind of bet? I can’t say...». Giorgio De Tisi (Citroën Xara Wrc, A 3000+): «I got an amazing time, breathtaking sensation. The perfect race I’d say! The last hairpin bend before Vason was the only place of braking – I hadn’t think about this kind of performance anyway before actually getting that! In addition to this, the new category record…what a great moment!». Walter Gottardi (Gi-Pi Sport Honda, CN 1600): «Yesterday night I really feared I couldn’t even start, because during second practice heat I broke the gear. 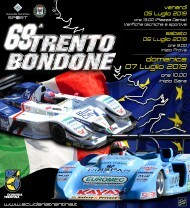 I have to thank Sandro Lipparini who worked till late at night to repair the car and give me the possibility to drive ». Fabio Rosa (Radical Sr4, E2-Sc 1600): «To be a driver taking part in this kind of competitions once a year I can be proud. I forced all time and, except for a turned car, the rest of the track was perfect. With lots of people, it’s so nice to drive with such a frame ». Thomas Pichler (Formula Master, D/E2-Ss 2000): «Compared to practices, the track was more slippery, but in general I’m happy. At a certain moment I touched the front right but luckily that was not serious and I could continue. The time is good. I was driving this car for the first time, to have a good feeling you need to drive it much more ». Adolfo Bottura (Formula Master, D/E2-Ss 2000): «it didn’t finish as I expected. 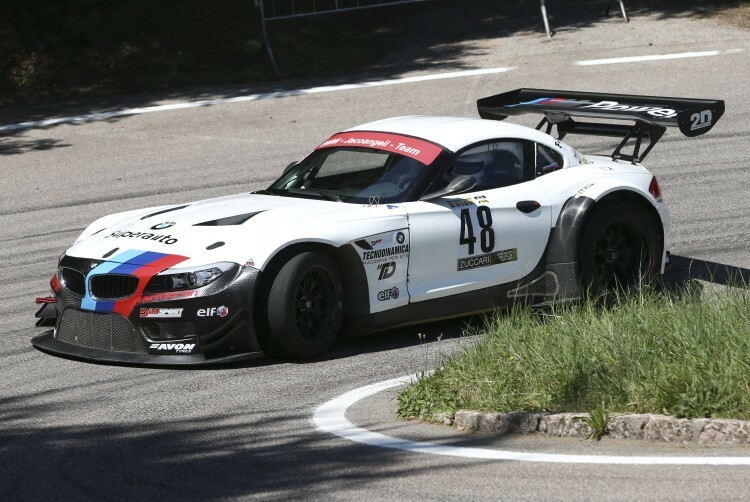 Unfortunately on a hairpin, after Norge, the car switched off and it was not easy to restart it. I’m very unhappy and disappointed because I aimed at a good performance home. The only cold comfort is that before the problem I was widely under the practices times, so I know I can reach certain times ». Matteo Moratelli (Lola B99 Zytek, D/E2-Ss 3000): «I’m dead tired, you know. It was the first time for me driving such a fast racing car – it was even too good to me! It wasn’t easy to drive with such hot weather conditions, but the best thing is the more I drive it, the better sensations I feel. I just need a bit more practice to drive at my best.». Rudi Bicciato (Mitsubishi Lancer Evo, N 3000+): «I had the same time as I had had during the practice. I had thought I could be able of obtaining a better time, but the hot weather created me lots of problems. Just a little time for a special dedication to Delia De Florian, just passed away. 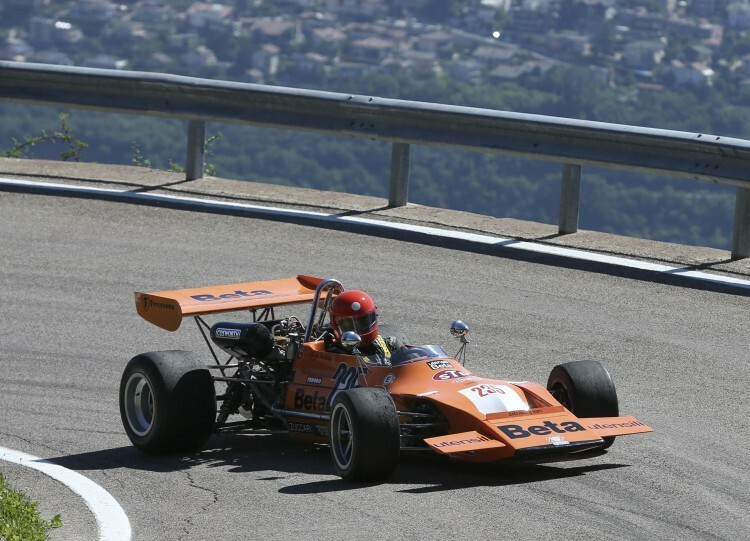 A great Hillclimb driver from Bolzano – my first thought is to her, as well as the one of each fan of this sport». Gabriella Pedroni (Mitsubishi Lancer Evo, N 3000+): «I’m so glad of this podium…at the beginning my fear was not to be able to drive: the engine broke down during practice, and Nocentini had to work all night long to have the car set back to perfection. My thanks go to him and to my father, running overnight to Milano in order to get the spare parts we needed. This was the first time for me driving such a fast racing car, and conquering the podium for my category is one of the most beautiful experiences I’ve ever had, which I’ve been chasing for a long time». Alessio Piffer (Alfa Romeo 33, E3 A 1600): «Compared to the practice, I improved my time of 27 seconds, I didn’t expect such a great time…I thought timekeepers made a mistake!! But this is reality…wow! With such a hot temperature, I couldn’t see the time to finish…this was such a difficult race, but beautiful as every time». 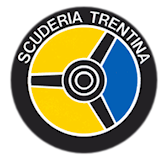 Fiorenzo Dalmeri (Chairman of Scuderia Trentina): «The success of this 60th edition is due to the fantastic teamwork. Yesterday, after the downpour, lot of people started checking and clearing the track from branches, pebbles, debris that felt down on the tarmac. This morning the track was perfect. This held to an extraordinary race, either for Faggioli’s record and the public along the street. It’s a very special race for drivers, and compete in such a frame is even better. Faggioli’s record shows the quality of the track, the best driver in Europe won. We are all very much satisfied about the success of this year editio ». Paolo Castelli (the Town Councillor for Sports, Municipality of Trento): «It was a marvellous experience, the enthusiasm of people on the fields in Monte Bondone is heartbreaking. Talking about sports, its was a nearly-perfect race, with optimal conditions, which finished with the all-time-record fixed by Faggioli. Even dealing with the importance of this race for our community, a victory both for us and for the drivers – this event is deeply rooted into Monte Bondone, our mountain. An indissoluble duo – our mountain, our race». Christian Merli (driver): «this end was written, Faggioli has the best combination of driver ad car and he is very difficult to be beaten. The eve I thought he could go under 9 minutes 30”, then considering the hot temperature he couldn’t risk to compromise all race. From a technical point of view it was a fantastic edition. The only trouble, this hot temperature that mostly damaged the tyres. I’d like to congratulate Thomas Pichler and Matteo Moratelli, who defeated well and drove a great race».